AWARE – Fish Identification – “What was that fish?” is a common question heard after a dive. If you want to be the scuba diver with the answers, instead of the one asking the questions, then take the AWARE – Fish Identification Specialty course. You’ll enjoy your dives even more when you recognize the creatures that you see and can identify the main fish families and their characteristics. 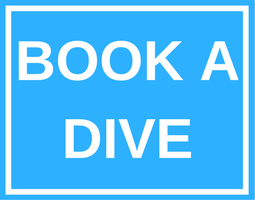 Contact us at Arizona Dive Shop Subic Bay, to enroll in the course. Check out the marine species reference library at ScubaEarth®. Beyond using basic scuba equipment, you’ll want a slate to record what you see and a fish identification card if available for your area. Your PADI Instructor at Arizona Dive Shop Subic Bay may suggest additional equipment or references depending on what you’re likely to see on your dives.